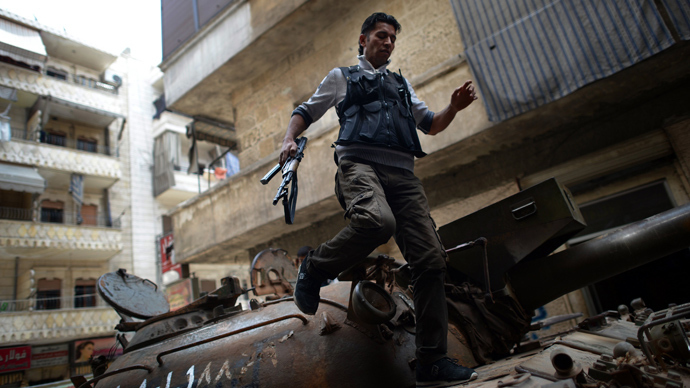 Arming the Syrian rebels would be “pressing weapons into the hands of maniacs and Al-Qaeda thugs,” London’s mayor has warned. His is the latest call in a wave of rhetoric urging the UK prime minister not to provide the Syrian rebels with weapons. “We can’t use Syria as an arena for geopolitical point-scoring or muscle-flexing, and we won’t get a ceasefire by pressing weapons into the hands of maniacs,” wrote Johnson. He joins a number of prominent British political and social figures in an attempt to dissuade Prime Minister David Cameron from sending arms to the Syrian opposition. “This is the moment for a total ceasefire, an end to the madness,” Johnson writes. “It is time for the US, Russia, the EU, Turkey, Iran, Saudi and all the players to convene an intergovernmental conference to try to halt the carnage." Deputy PM Nick Clegg also warned Cameron of the dangers of supplying the opposition with weapons. He reasoned that the UK government had not deemed it necessary to send weapons before and saw no reason to change this policy. 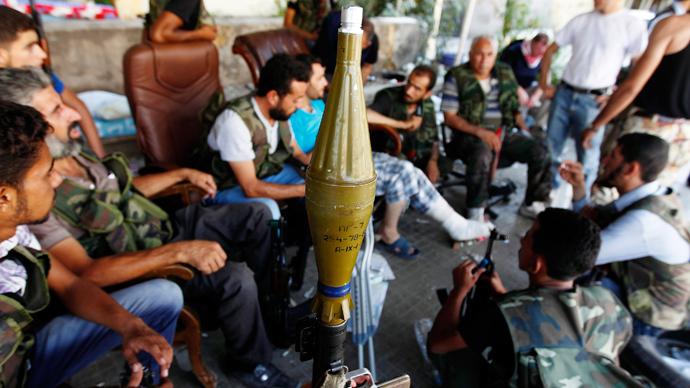 There has been speculation that Cameron is in favor of supporting Washington and sending weapons aid to rebels in Syria. The Obama Administration announced last week that the Syrian regime had crossed “a red line,” citing evidence that government forces had used the chemical weapon sarin in the conflict. The “intelligence community assesses that the Assad regime has used chemical weapons on a small scale against the opposition multiple times in the last year,” said Deputy National Security Adviser for Strategic Communications Ben Rhodes said in a statement. Russia spoke out against the US plan to aid the rebels, saying the Kremlin was “unconvinced” by the US evidence that Syrian President Bashar Assad’s forces were using chemical weapons. 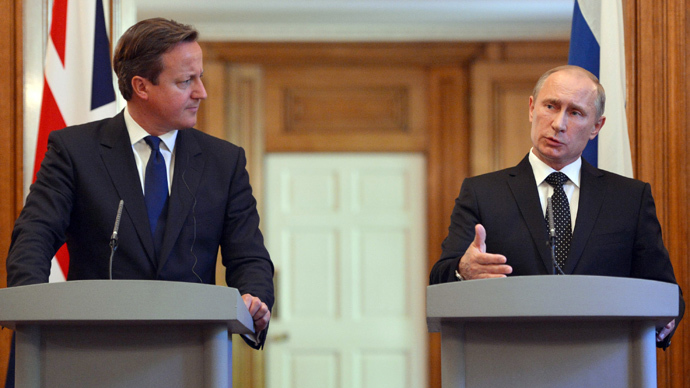 The Syrian issue dominated bilateral talks between Moscow and London last week. Russian President Vladimir Putin met with Cameron last Monday, insisting that supplying the opposition with weapons would only serve to destabilize Syria further. 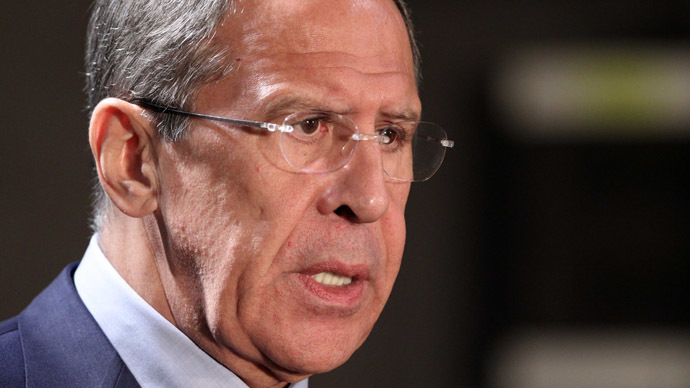 Russia believes the conflict will only be brought to an end through negotiations. "I think you will not deny that one does not really need to support the people who not only kill their enemies, but open up their bodies, eat their intestines in front of the public and cameras," Putin said, referring to a video footage on the internet of a rebel fighter apparently eating the heart of a government soldier. David Cameron, however, remains steadfast in his opinion that the root cause of the conflict is Assad. The “new evidence makes that clearer than ever,” said Cameron, citing the US’ claims of government forces using sarin gas. 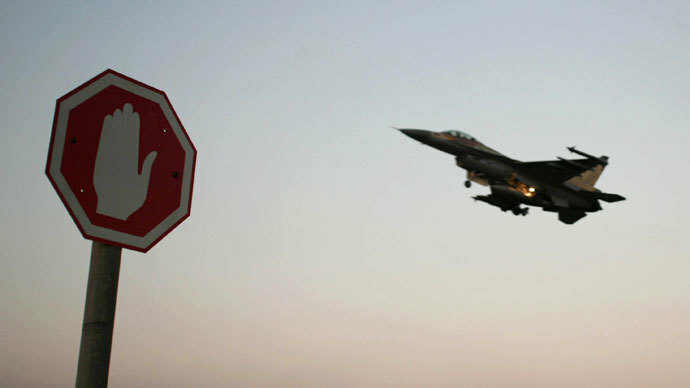 Washington is also reviewing the possibility of setting up a no-fly zone in Syria, US officials told Reuters. The no-fly zone would extend 40km into Syrian territory and would be used as a safe haven for refugees and a platform to train rebels.